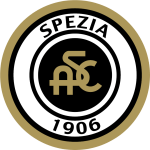 The 27-year-old Antonini Culina was born on January 27, 1992 and is therefore two years older than his team's average age. The Croatian midfielder Antonini Culina joined his current team, NK Inter Zapresic (Croatia), in February 2019. 60% of NK Inter Zapresic's football players are right footers and so is Antonini Culina. Measuring 184cm, NK Inter Zapresic's average player height matches the one of Antonini Culina. He had ten match appearances this season. These days, his team NK Inter Zapresic comes seventh place in 1. HNL (Croatia). NK Inter Zapresic's number 15 is Antonini Culina. After an overall look at his career, we can see that he was substituted in 51 times but never out. In the active season, he was taken out more often in contrast to 2017/2018 wherein the contrary happened. He was contracted to a few clubs during his professional career, one of them being KS Cracovia, for whom he played before coming to Croatia. Antonini Culina received nine penalties throughout his entire career (all yellow). This play time, he has not caught any cards yet. 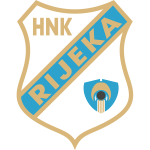 The longest period that he stayed in a team was five years and 11 months in HNK Rijeka (Croatia) Throughout his professional career, he participated in 158 games, the last appearance being six days ago. Antonini Culina's best season was Super League 15/16 (Switzerland), because in this year he had his highest success in terms of goals. 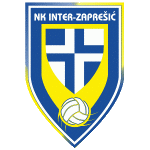 NK Inter Zapresic has eleven more midfielders in their squad, namely Juraj Ljubic, Nikola Rak, Tomislav Haramustek, Borislav Tsonev, Igor Postonjski, Jasmin Celikovic, Josip Brezovec, Kristijan Pleic, Steven Lustica, Karlo Muhar and Marko Burzanovic. As for winning percentages, he won with NK Inter Zapresic 40% of their home matches (30% in total) in 1. HNL. NK Inter Zapresic enjoys a 2-game winning streak during the last 5 games of the current season. Antonini Culina weighs 77kg which is 1kg more than his team's average heftiness. Two months has been the stubbiest period that he was contracted to a team (the current one).